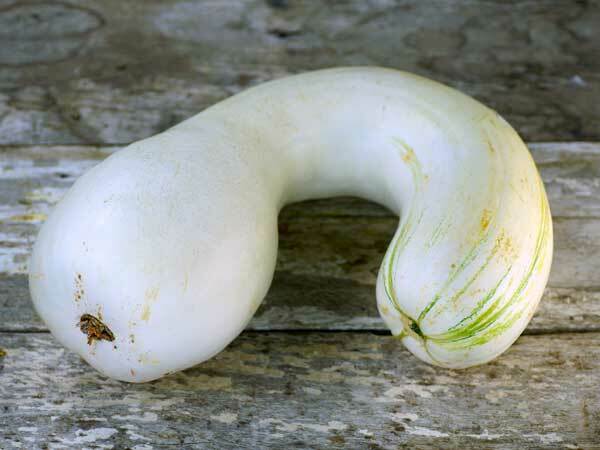 Also known as White Crookneck Pumpkin. Large white-to-ivory, club-shaped fruits reach 30 inches long and weigh 18-25 lbs. 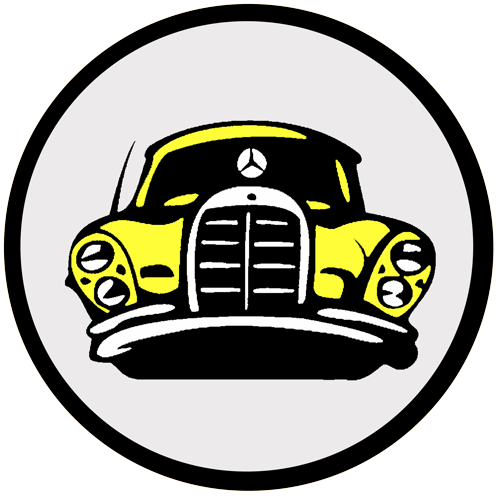 The flesh is pale yellow, and the fruits keep fairly well. 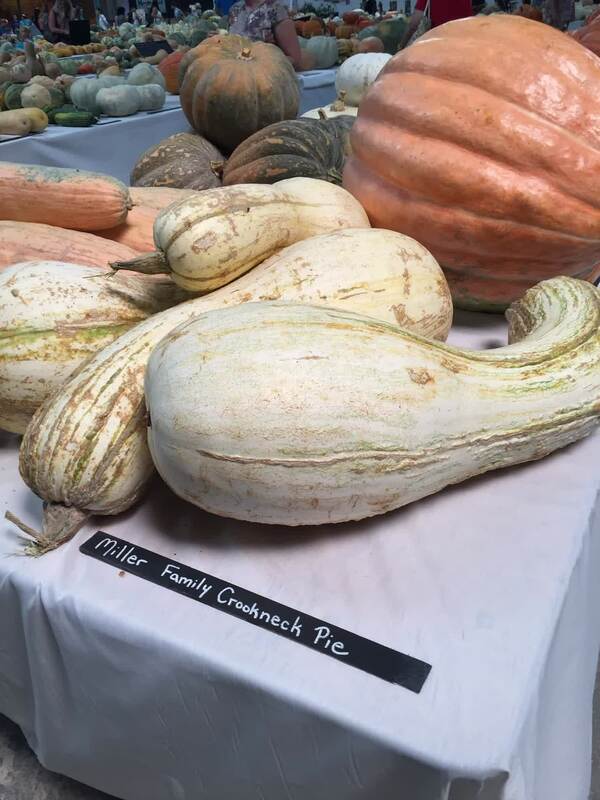 The variety was widely grown in southern Illinois, often in cornfields, and was preferred there for pies. Our foundation seed came from collector Kevin McCarty, who writes that the variety was grown continuously on a particular Illinois farm from 1830 to 1980, the original seed having been provided by Abraham Lincoln's parents. A pale green-striped cushaw type originating with one of our growers in Arkansas. The mild-flavored yellow flesh of this variety is heavily favored among members of his Mennonite community for pies; it�s the only one most of them will grow! May have originated as a commercial variety, but the grower�s family have been saving their own seed of this variety for at least three generations. 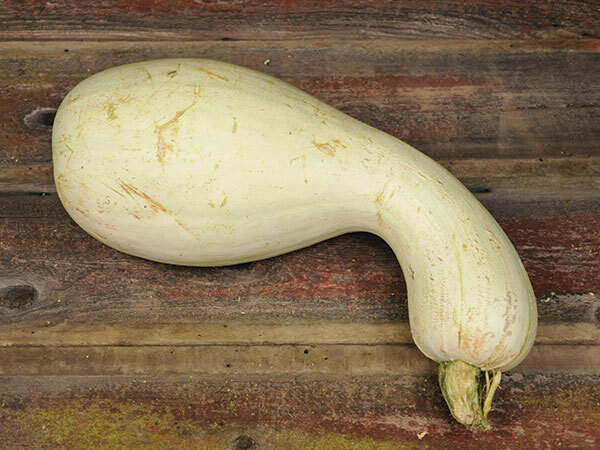 Resists pests and diseases, like all cushaw types. 100 days. 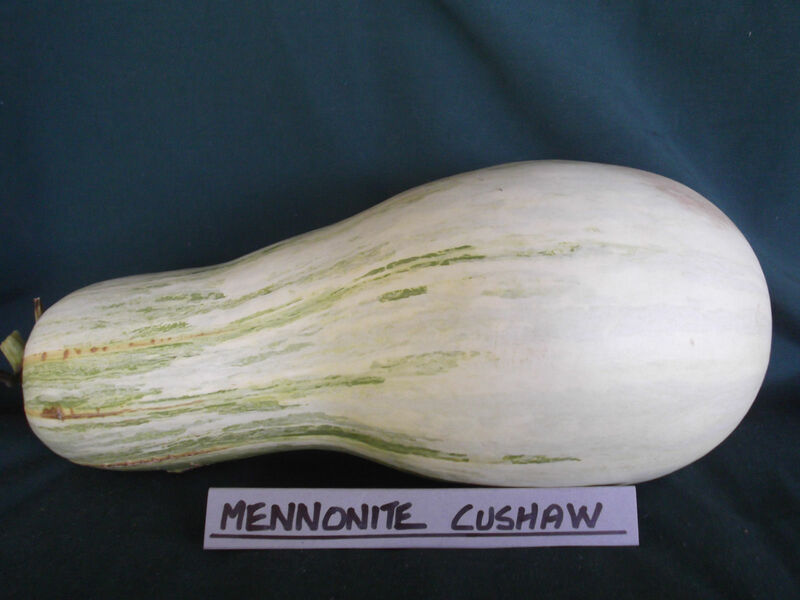 This variety has been grown by the Mennonite communities in Arkansas, USA since the 1950's with the seed saved carefully each year for next seasons crop. 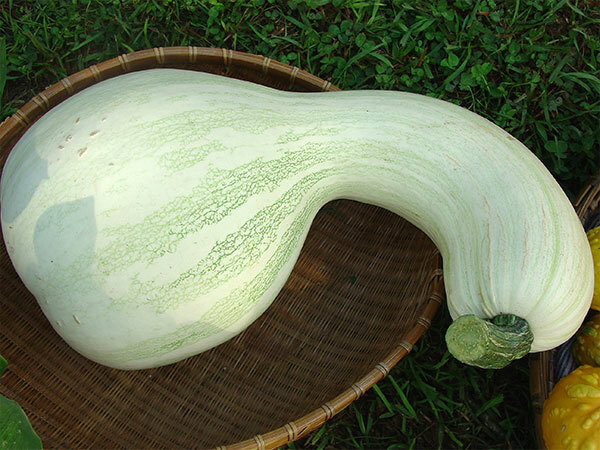 It is a cushaw type of pumpkin with a large bulb at the blossom end tapering to a thick meaty neck. The rind is smooth, creamy coloured with faint green stripes. The medium length, thin vine is quick to flower and produce fruit ranging from 3kg to 6kg, or larger, in around 85 days. Inside, the light yellow flesh is medium firm and mildly sweet, making it ideal to use in baking. 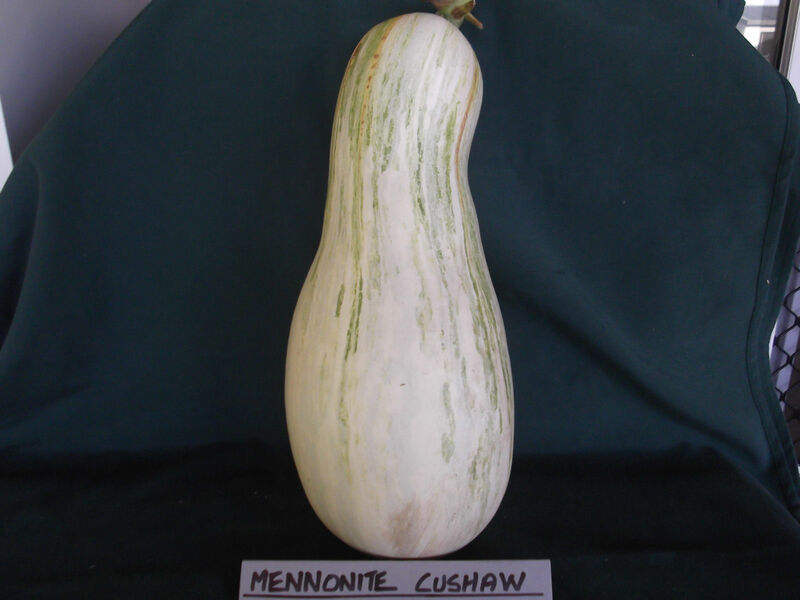 This variety is also known as "Miller Crookneck" and the Mennonites grew and marketed it under this commercial name.